Fully reinforced silicone 1.8T PCV Check Valve T-Hose to replace the crumbling factory rubber hose. 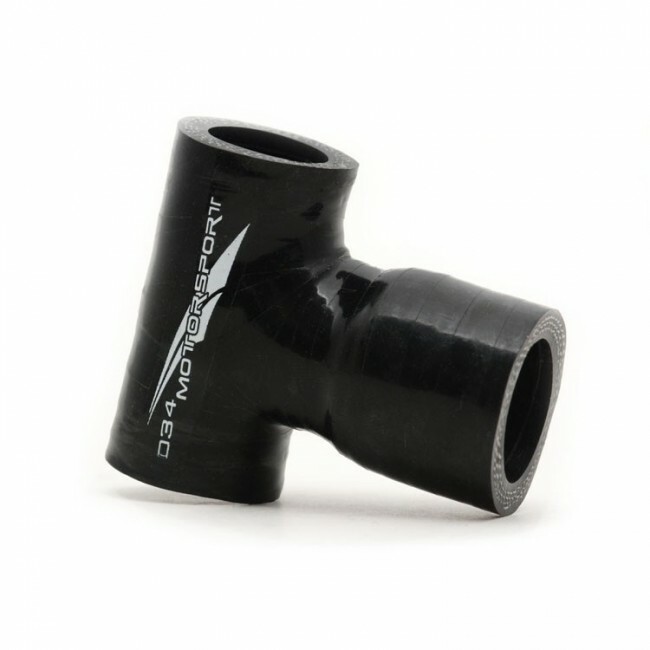 This hose fits longitudinal and transverse 1.8T engines that have a rubber T-hose for the PCV check valve. Available in black only. Includes new hose clamps!